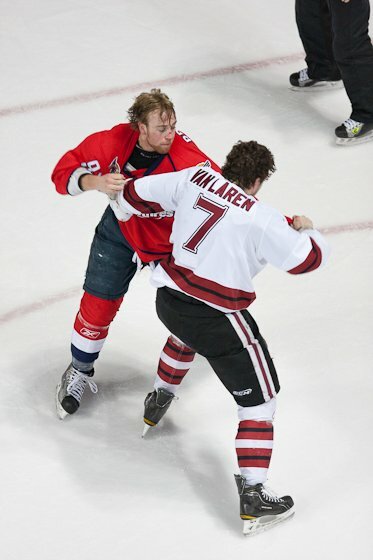 This article is 2968 days old. 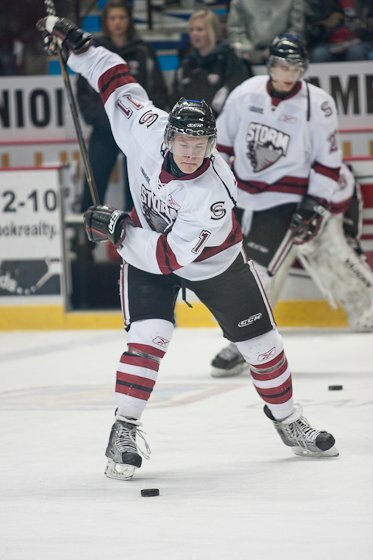 The Windsor Spitfires took on the Guelph Storm Sunday at the WFCU Center before a crowd of 6456 and won with a shootout goal scored by Windsor’s Tom Kuhnhackl. 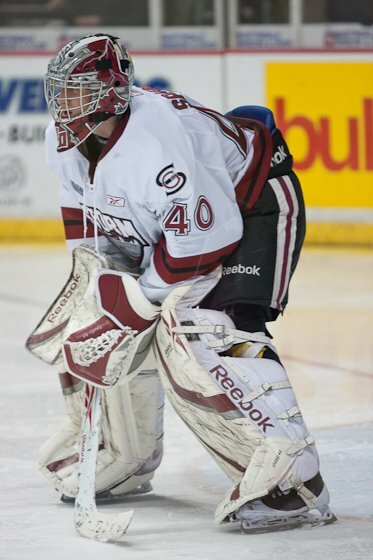 Johnny Cullen was out for the game with an injury and Jack Campbell started in net with Nishi from Georgetown as backup. 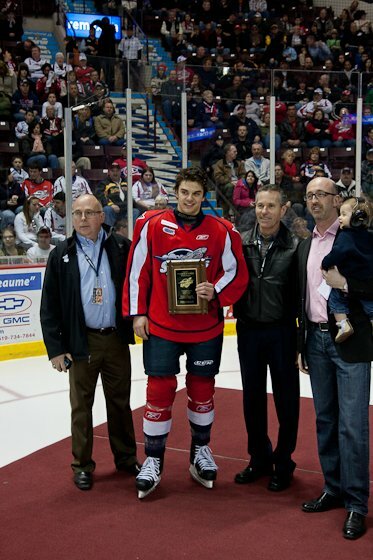 Grant Webermin was given an award for his academic achievements. 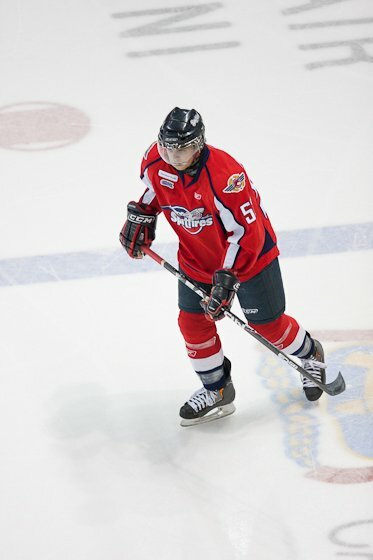 Windsor was also out several players due to suspensions from previous games including Derek Lanoue, Saverio Posa and Nick Czinder. 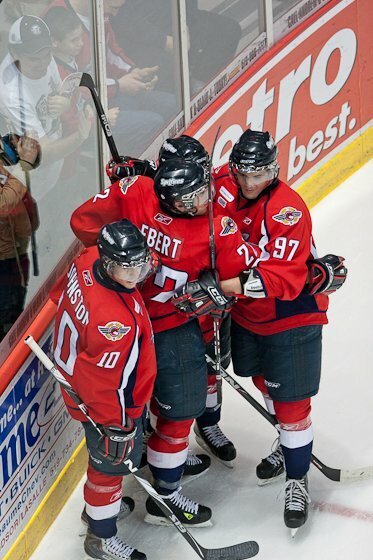 The Spits had a 2-0 lead thanks to Nick Ebert and Kenny Ryan shorthanded. 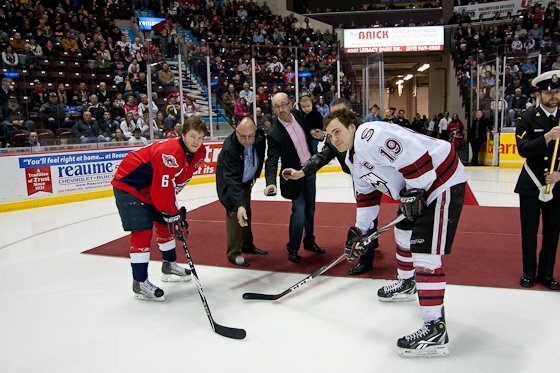 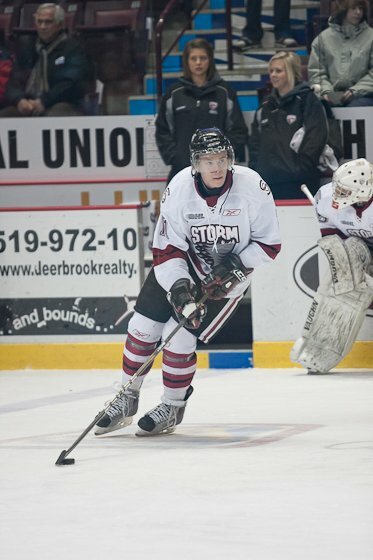 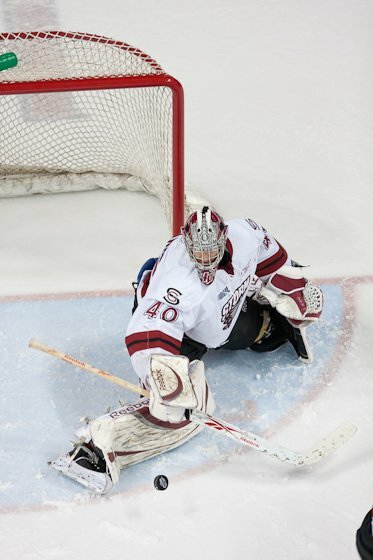 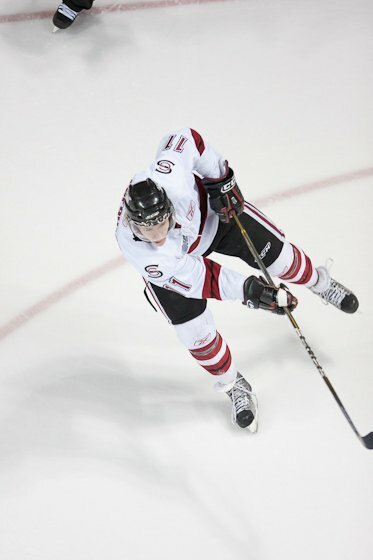 The Guelph Storm were able to put two past Campbell for a 2-2 tie going into the third period. 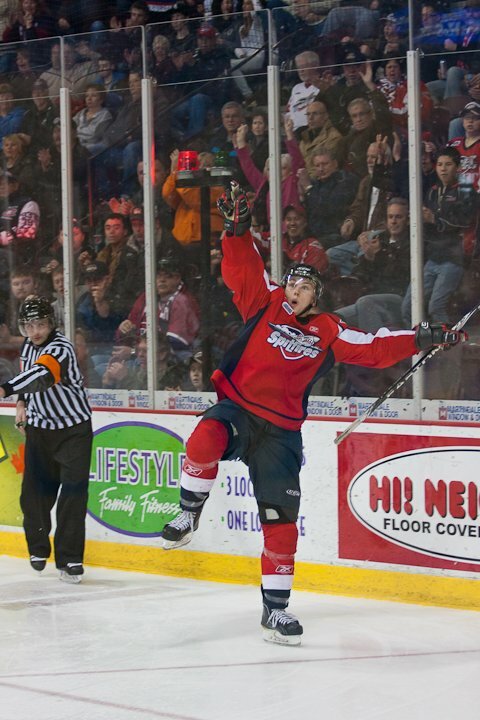 Windsor’s Kerby Rychel added a goal in the third period to tie it up. 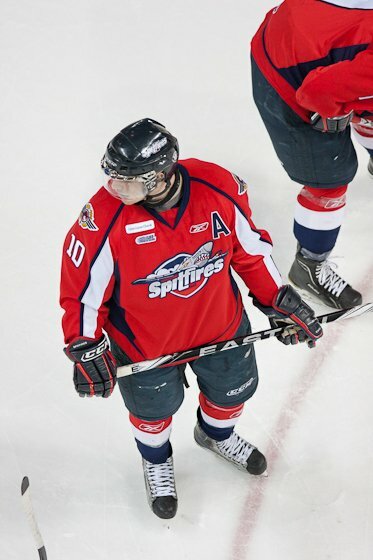 The overtime period quickly had Zack Kassian sitting in the box for two minutes for slashing but the Spits played an outstanding penalty kill and the overtime period was scoreless. 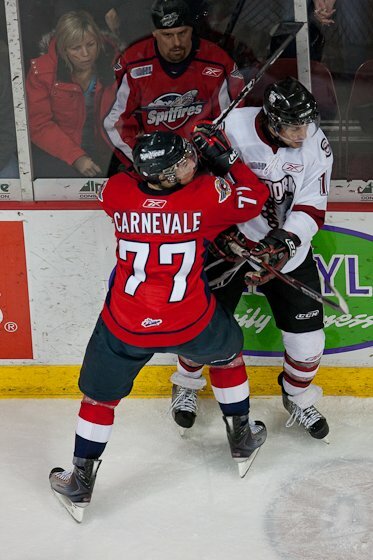 The game then went to a shootout which saw Windsor’s Taylor Carnevale scoring in the first round and sniper Tom Kuhnhackl scoring in the third round. 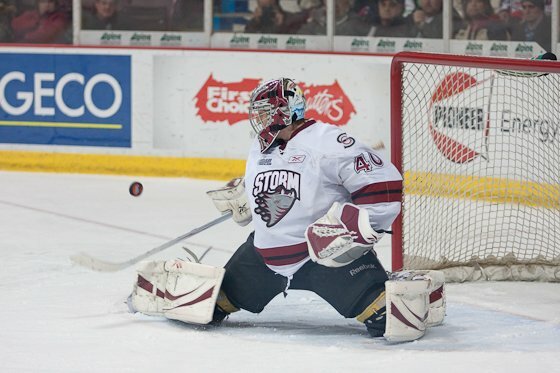 Jack Campbell stopped all of Guelph’s attempts in the shootout. 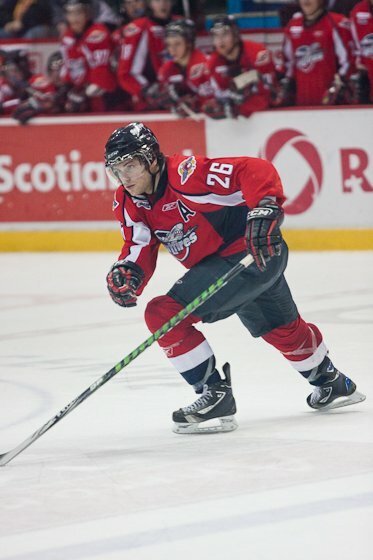 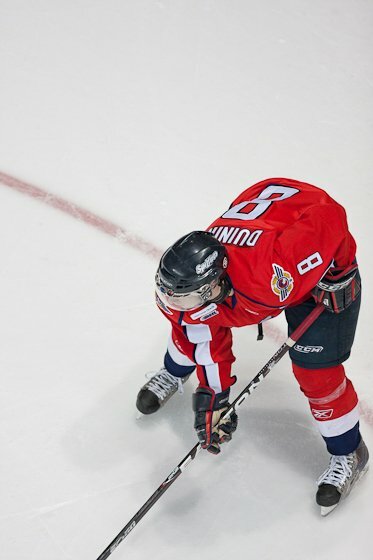 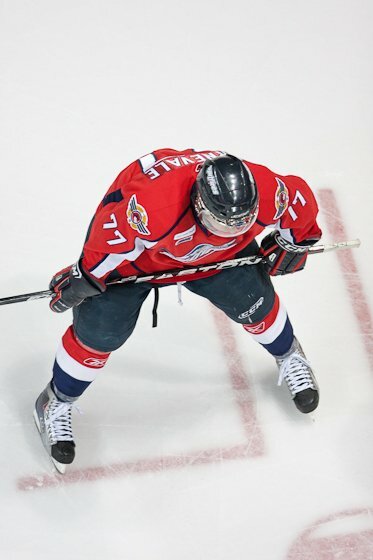 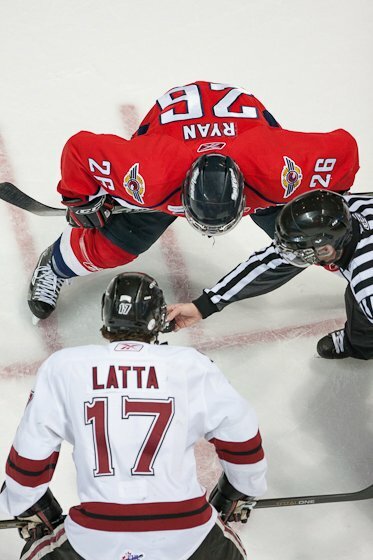 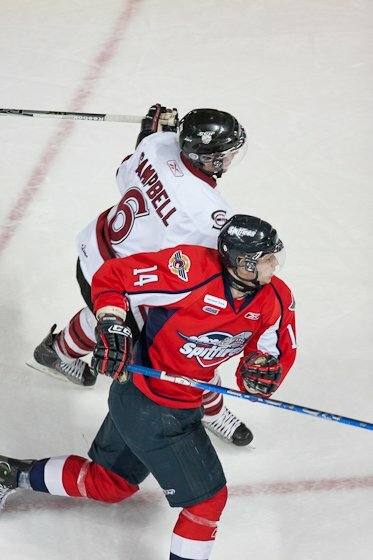 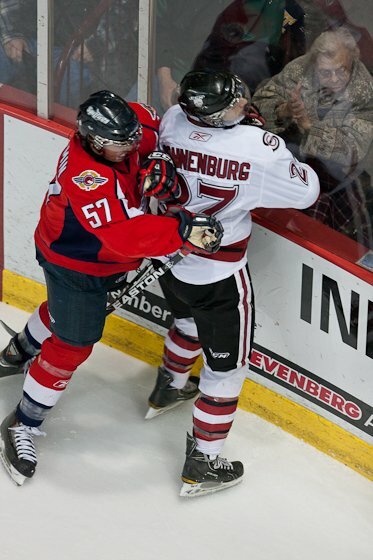 The Spits next take on the Owen Sound Attack Thursday night at the WFCU Center.